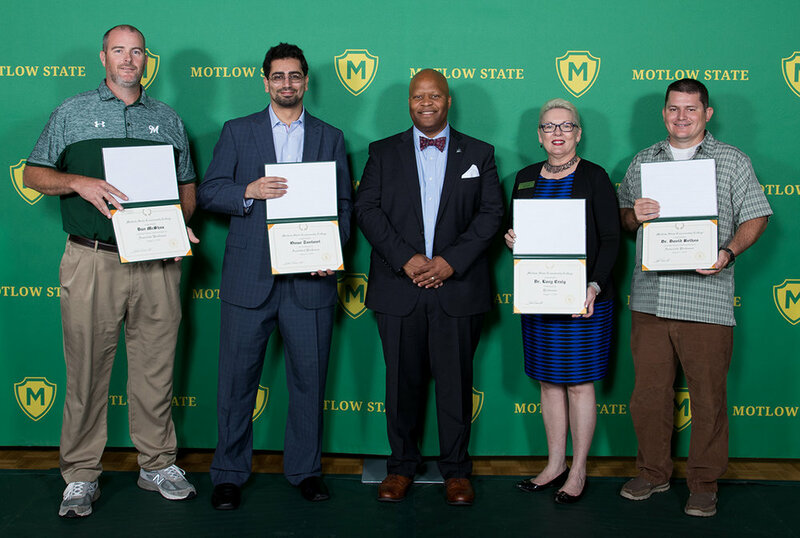 Six members of the Motlow State Community College faculty recently received recognition of their Tennessee Board of Regents approved promotions at the College’s Fall Convocation. From left, are Dan McShea, associate professor; Omar Tantawi, assistant professor; Dr. Michael Torrence, Motlow president; Dr. Lucy Craig, professor; and Dr. David Bethea, associate professor. Not pictured are Eric Claunch, assistant professor; and Brian Mitchell, associate professor.